for more info, you can read the lang#lua layer documentation. 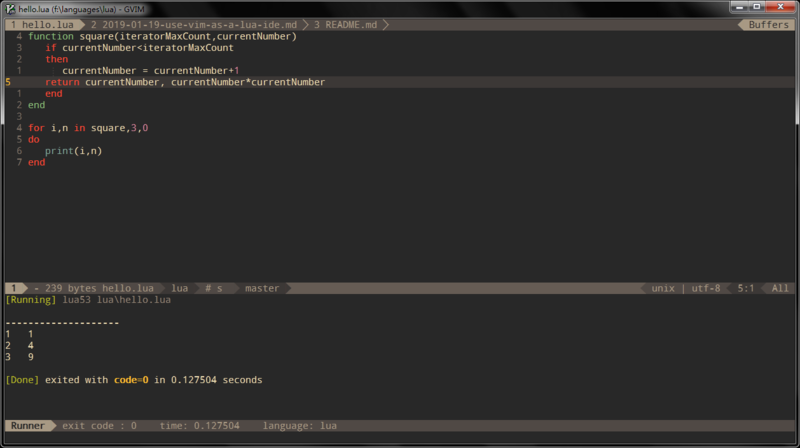 lang#lua layer will load the vim-lua plugin automatically, unless overriden in your init.toml. The completion menu will be opened as you type. The checkers layer is enabled by default. 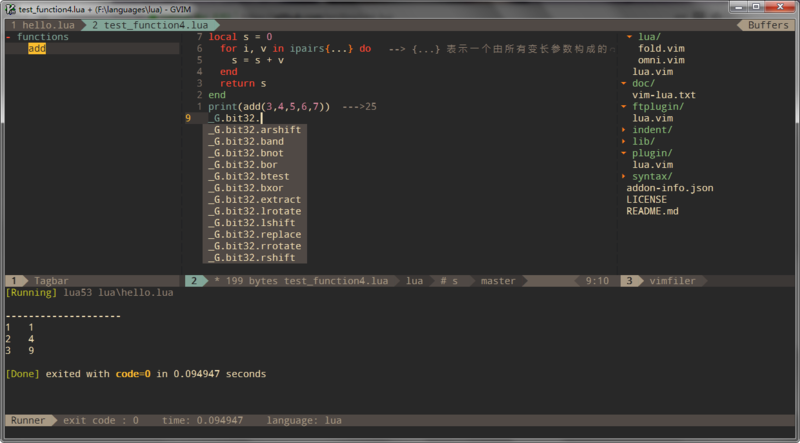 This layer provides asynchronous syntax linting via neomake. It will run luac asynchronously. To run current script, you can press SPC l r, and a split windows will be openen, the output of the script will be shown in this windows. 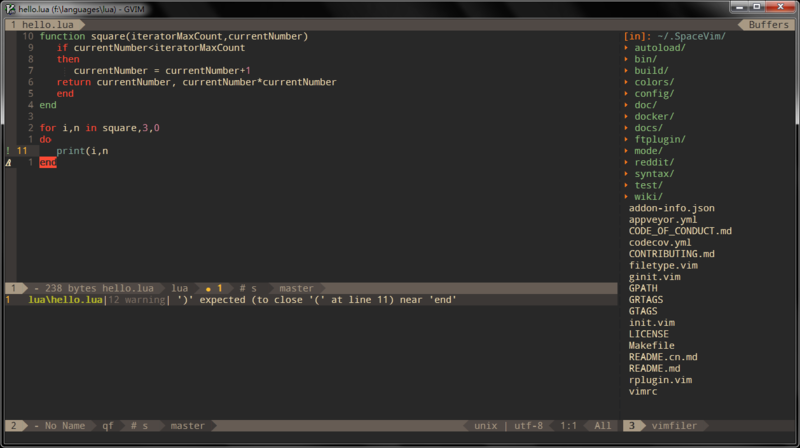 It is running asynchronously, and will not block your vim. The format layer is also enabled by default, with this layer you can use key binding SPC b f to format current buffer. Before using this feature, please install luaformatter. Start a lua -i inferior REPL process with SPC l s i. After the REPL process being started, you can send code to inferior process, all key bindings prefix with SPC l s, including sending line, sending selection or even send whole buffer.